I have a love-hate relationship with sheet masks. I love how easy they are to use, but I hate that you have to toss them after just one use. That is, unless you know of some sneaky ways to get the most out of your sheet masks. After all, sheet masks are pretty bomb. They're easy to travel with, relatively mess-free, and the fact that you usually don't have to rinse your face after using them makes sheet masks the perfect skin treatment for those of us with lazy tendencies. So it's a shame to only be able to use the contents of each packet once before consigning it to the wastebasket. In order to get more uses out of these seemingly one-and-done type face masks, there are a few different things you can do. However, something you should not do is reuse the same sheet mask. Yes, there's usually a ton of excess serum at the bottom of sheet-mask packets, but the last thing you want to do is reintroduce the dirt and bacteria from your face by re-soaking and reusing the same mask. But there are other ways to make the most of that serum. Here are five tips and tricks for really getting your money's worth from all of those sheet masks you go through. Sheet masks almost always have way too much serum in the packet. So it doesn't all go to waste, gently squeeze the excess out of your mask while it's still in the pouch. After you remove your sheet mask to use it, either pour the remaining serum into an airtight container or secure the pouch with a clothespin or rubber band. You'll be able to use the rest of this serum later. If you're not going to use it the same day though, store it in the fridge, and try to use it the following day. 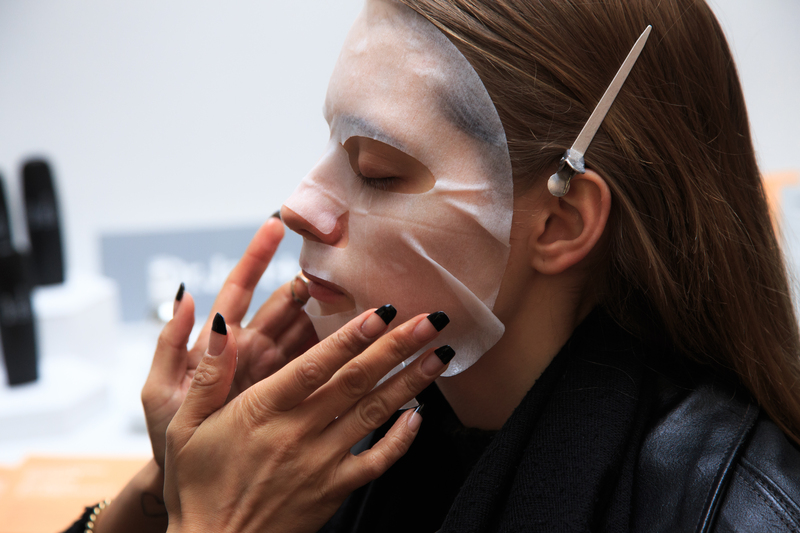 Many sheet masks tend to have flaps around where the eye-slots are cut out. Instead of just letting these flaps hang out while you wear the mask, cut them off before applying the mask. You can save these for later use as eye masks. If you like to use up all of the serum in your sheet mask pouch on the same day, try using the serum on other parts of your body. Depending on what formula you chose, you may want to massage the excess serum into your neck, chest, hands, or even feet. Cotton rounds can help you use up the excess serum in a sheet mask pouch in a couple of ways. If you want more targeted treatments, like under your eyes or just on your T-zone, you can soak a few cotton pads in the solution and then leave them on your face for the amount of time you would a normal sheet mask. Or if you would prefer to just swipe the serum all over your face as a toner or, well, serum, after cleansing, just run a soaked cotton pad wherever you want the treatment. If you do want to use the excess serum as another face mask though, use dry, compressed sheet masks instead of reusing the one that came in the packet. Simply drop one of these coins into the serum and let it soak up the product before using the sheet mask as usual. Depending on the amount of serum left in the pouch, you should be able to get one or two extra uses out of it.